Welcome to www.grannemanagency.com!!! We have recently updated our website to be more user friendly to you!!! In addition to all of our listings, you will find so much more - insurance, tax preparation, area links, mortgage calculators, real estate news, rentals... Browse around and get comfortable with our site. My monthly eNewsletter will be coming out on August 1, with some new listings!!! If you are not on my email list, let me know and I will add you so you can be one of the first to find out about new listings!!! On another note - my 5th Street Centre, Syracuse, NE listing has a loft apartment available for rent. See more pictures of it here. 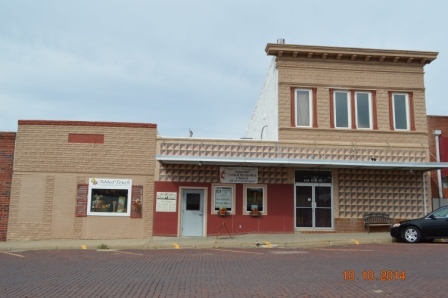 If you are interested in small town, down town living, check it out. Apartment is located on second floor of the building. Fun place!!! Send me an email if you are interested and I will put you in contact with the go to person.